This year’s Mobile World Congress in Barcelona, Spain may ultimately be remembered for introducing a variety of new platforms and devices that will serves as contemporary tools of the trade for mobile marketing’s immediate future. At the heart of MWC 2010 is the release of new smartphones and platforms that have already surpassed the familiar “game changer” reference. Samsung’s new smartphone, dubbed “Wave,” is being hailed by the manufacturer as a “life changer.” Running the new Bada platform, Samsung’s Wave has immediately been recognized as a high-end smart phone that will provide an entirely new playground of sorts for mobile advertisers and marketers primed and ready to capitalize on the opportunities introduced at this year’s Mobile World Congress. Even with Apple sitting out the show, MWC stands to roll out no shortage of exciting devices and platforms that will dominate the mobile world for the remainder of 2010 and possibly beyond. In addition to the marketing goldmine that the Wave cold prove to be, plenty of mobile marketing-minded professionals are also looking into Google’s open-source Android and how it may be used or integrated with other devices set to debut at MWC. The same goes for Research in Motion and its BlackBerry system that continues to grow by leaps and bounds across continents. Microsoft, however, could very well steal the show with their Windows Phone 7 Series – an announcement that the tech giant says will provide mobile consumers with a “truly integrated” mobile experience dominated by the relevance and importance of mobile applications. 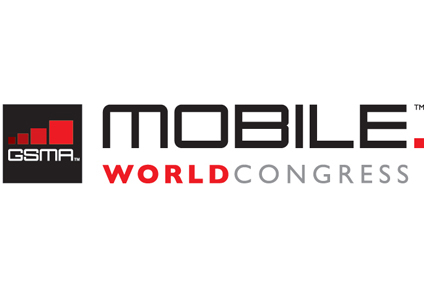 Platforms and devices aside, MWC has never before seen such emphasis on mobile applications, a major topic of conversation and focus at this year’s show, which is a veritable showcase of the gadgets that will deliver apps to a global mobile community always hungry for more. According to research analyst Juniper, the projected revenue from mobile application sales could top $25 billion by 2014. By the end of this year, however, market researcher ITU predicts that the number of mobile cellular subscriptions could surpass five billion.